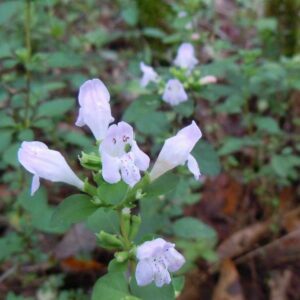 This low-growing (about 6 inches tall) native groundcover produces purple and white flowers from Spring-Fall. 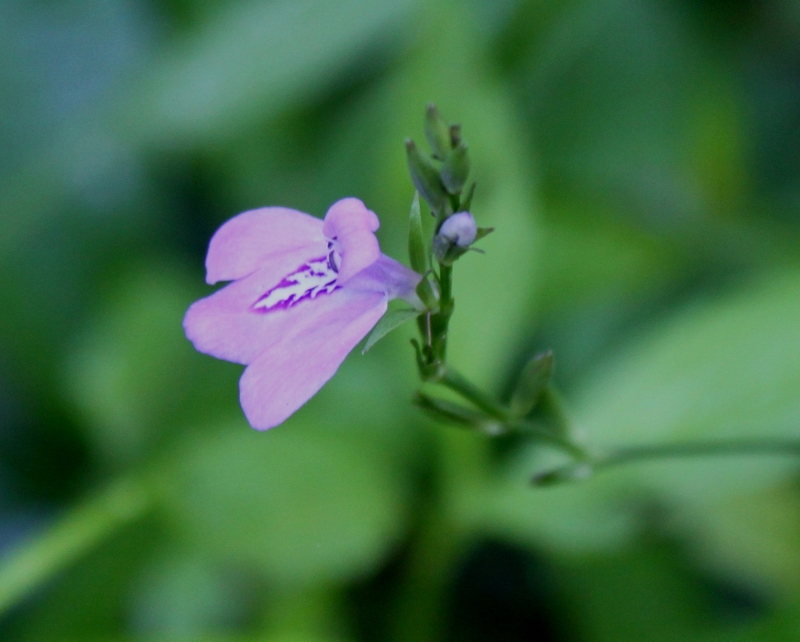 Though native to shaded swamps, it thrives in average to wet soil and submerged in water, in sun or shade. It spreads by stolons and seeds to make a floral carpet. 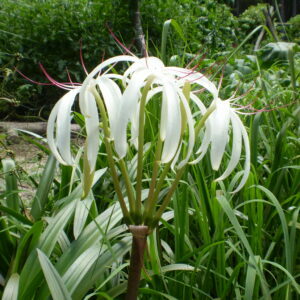 It does well in containers, alone or as a companion for taller plants. Justicia (Water-willows) are mainly pollinated by Honeybees and Native Bees (Bumblebees, Little Carpenter Bees, Cuckoo Bees, Long-horned Bees, Leaf-cutter bees, Green Metallic Bees and other Halictid Bees. Small Butterflies, Skippers, and Beneficial Insects (Bee Flies, Thick Headed, Flies, Syrphid Flies and Wasps) also visit their flowers. Water-willows are larval hosts of the Common Buckeye Butterfly and the Hydrangea Sphinx Moth. Justicia ovata var. 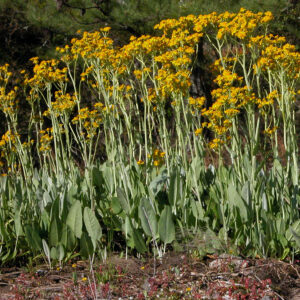 ovata is native to VA, NC, SC, GA, FL, AL. The species in the broad sense (including Justicia ovata var. lanceolata) also occurs in AR, IL, KY, LA, MO, MS, OK, TN, and TX. We propagated our plants from native plants that we rescued from highway construction in Beaufort Co., SC.